When Harvey declared that he was done skiing alone, I felt a post of my own forming in my head. Skiing solo is one of life’s great pleasures. I wouldn’t consider giving up skiing by myself any more then I would give up skiing itself. One time this spring I found myself driving up the Thruway, skis and boots in the truck, with literally no idea where I was going. I reached out to a couple skiing buddies to see where they were headed but I was pretty ambivalent about finding a ski partner. 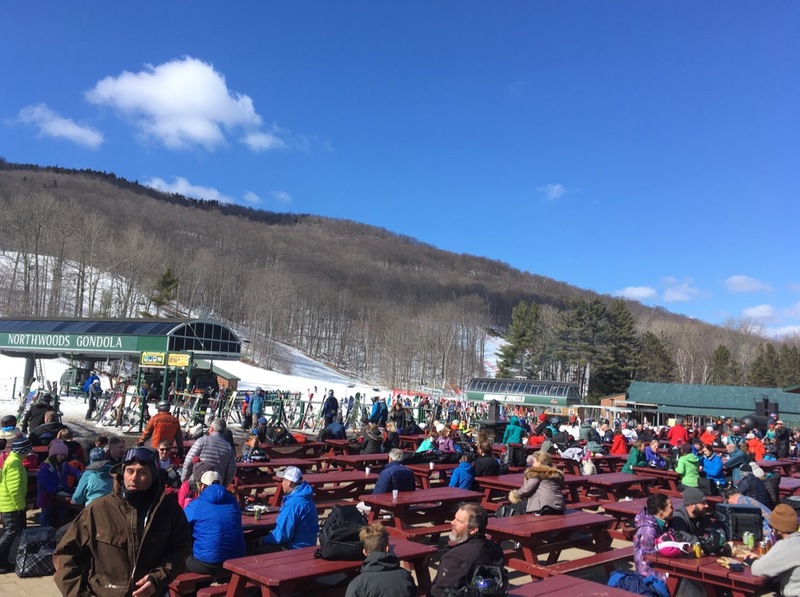 One guy was at Plattekill (not on my MAX Pass), one was at Whiteface and another at Killington (both too far). I think I was subconsciously looking for reasons not to meet up with anybody. I found myself drawn towards Gore. The fact that I wasn’t expecting to bump into anyone I knew wasn’t a problem, it was actually an enticement. I’m not saying I always ski alone. I’m not completely anti-social. I appreciate camaraderie. I love skiing with my kids or friends and I like that I’ve met new people through skiing. I value the time spent with them. Really. But some times — often — I just want to ski alone. I work in a “people position” and that might have something to do with it. I talk to customers, managers and suppliers all day so I cherish the quiet. In the summer I get my alone time in my kayak or the occasional solo bike ride or hike. During the winter months I find a laid back, selfish day of skiing by myself is a good way recharge my batteries. That day at Gore was a great example. I parked my car, not worried about delaying anybody. I finished my coffee before shouldering my boot bag and skis and making my way to the lodge. I exchanged pleasantries with another skier in the gondola. Hey, I’m not a monster. I zipped down Uncas to the Straightbrook quad and a quick solo ride to the top, dropped a backpack (lunch and extra gloves) in the lodge. It wasn’t crowded and the rest of the day was more or less my own. 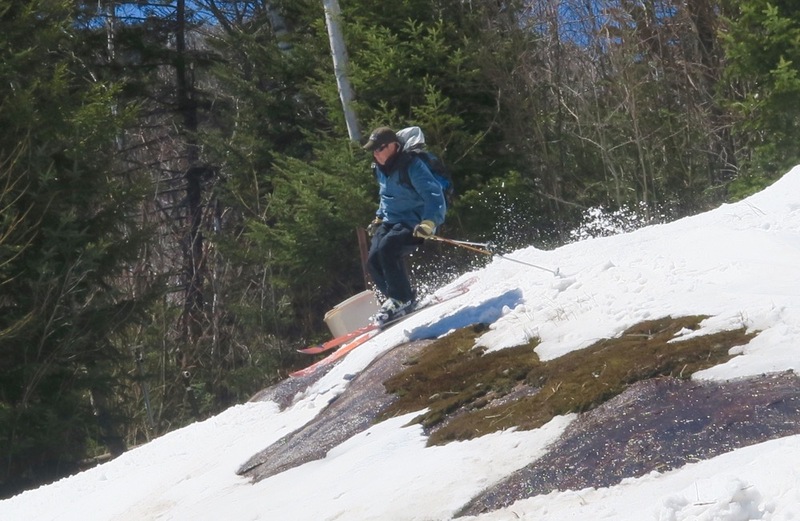 There were plenty of folks around, enjoying the mountain with me but I was there to ski, a few laps each on Rumor and Lies, once down Chatiemac, then to the High Peaks chair and the North quad. I retrieved my backpack and took my time eating lunch, earbuds in. I did what I wanted, when I wanted, and it was good. I skied hard all day and left it all out on the field. By the time I headed back to my car I was fully, thoroughly spent. I wouldn’t want every ski day to be a solo mission. Most of the time I go the other way, the more the merrier. I like skiing with people that are around my skill level, I like sharing my experience with newer skiers and I absolutely love watching kids improve. I like pushing myself to keep up with the real rippers who go way harder then I do and following the locals through tight glades that I’d be scared to enter on my own. It’s all fun. Most of the time skiing is a social sport for me. But once in a while, I just want to ski alone. 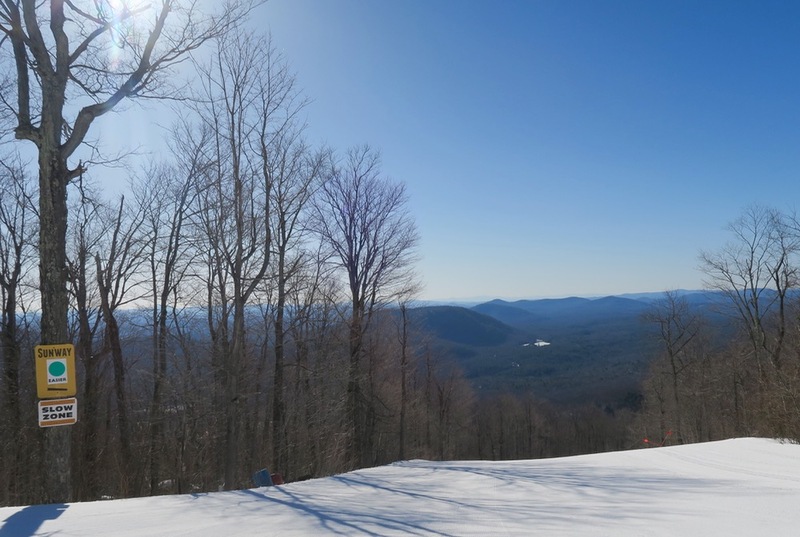 Nice piece and I agree — it’s good to mix things up: skiing with people vs. skiing alone. Out of necessity, I ski alone 2/3 of the time and the only major annoyance is when I want to get some in-action pix and there’s no one around. I agree with the sentiments of this essay. Just go ski, with or without company each has its own joys to bring. Nice piece. I’ve skied both solo and with friends or family. Both are cool. Any way that you get to enjoy the outdoors is great. I appreciate the trouble I can get into alone, and I go with others whenever possible. It’s not always possible though. Sometimes I ski, bike, paddle, hike, even scuba alone but I bring some self help gear and sometimes the cellphone even has a signal. I always leave my plans with my wife in case I miss dinner though so she can be worried instead of mad. …it all sounds like fun to me! I’m a musician so skiing is like playing tunes and I like playing tunes with friends. Enjoy! My crash in the woods wasn’t the reason for my post, but it was related. I am at times afflicted with vertigo. Usually when it happens it lasts a few seconds. This time, after I fell, I wasn’t hurt, but I was very dizzy for what felt like 10 minutes. I was glad that my friend Ed was with me. As corny as it sounds, for the first time this year, I found myself lonely when skiing alone and I didn’t like it. That was the reason I posted. It’s important to clear something up. I never advocated skiing alone in the backcountry, sidecountry or even in bounds in the trees. I’ve certainly done it, but I don’t recommend it. When I said “I’m done” I meant inbounds, on patrolled trails. Yeah, I took Harv’s blog post to be about resort skiing and that was more or less what I was addressing. I think it’s wise to buddy up for back/side-country or deep-in-the-trees skiing. skiing alone is one of life’s great pleasures. in fact, doing things you LOVE alone is sometimes more enjoyable. many times being alone is a way of medicating the brain, its a way to turn off all sounds and get off the grid. many of us love all sorts of sports: motorcycling, surfing, hiking, biking, snow sports and all these can be extra special when you are by yourself, when you can truly “turn your brain off”. when someone can find that special thing that brings us closer to our own paradise, its often done when we are alone. group skiing or just being on the mountain with a single friend is also great, but when you need to turn off your brain, not having to think or talk, solo skiing or riding is a very special way to accomplish that form of self meditation. I’m a ski addict. I need my turns any way I can get them. Like others have said, I buddy up when heading into the side/backcountry, but otherwise I appreciate and look forward to skiing alone. However, I also like skiing with a friend or a few ski buddies. But, I generally don’t enjoy larger groups. I love skiing more than anything. So when I can and often do go on a Friday when others including the wife are working I will. Though I should join up with some of those “Friday” ski groups like that exist at Hunta! Perfect read… it sounded like so many of my days. I love skiing with my kids, but they find other pursuits on many ski days. I do love listening to music while I ski, so, that gets pretty anti-social. I always try to engage people on the ride up, but I’m surprised how few reciprocate. Thanks for putting into words a lot of the same feelings and experiences I’ve had. I am lucky enough to be able to ski at Hunter on weekdays, about once a week. Some of my friends are able to meet up with me, but on the days that I am alone, there is another type of pleasure. No pressure when I take time getting my boots on or can’t find where I racked my skis, no guilt if I’m cold or tired or just want some coffee. I will admit I probably take too easy on some single days but hey skiing is about fun, it’s not a competition, and if I cut out for a nap at 1:30 great if I close the mountain at 4 bragging rights, it’s all good. Having had children in season long ski programs, I have had tons of ski alone days. However all of my most memorial days have been with a ski partner or two. This year’s ski trip to Canada involved 7 others. The fun on the slopes and fun off the slopes will not soon be forgotten. When I do ski alone, I ski top to bottom and only stop for food and water and get home early. I like to ski alone sometimes but riding lifts by myself is something I really prefer to not do as I get bored. In contrast I prefer to play golf by myself and get lost in the game particularly when there is no one else out on the course on a week night. These comments really put a smile on my face. It’s like you guys read my mind. I would have included a lot of these points if I was writing a longer piece. Z- I know what you mean. I’m about 50/50 on sharing the lift ride though. Some times I like to just look at the trees and listen to the wind but on the other hand, you meet a lot of cool people and learn new interesting stuff if you speak up. Snowsurfr- I love it. You said it better then I could have. James- it occurred to me that maybe you ski by yourself so much cause most of your days are in Switzerland and Austria. I don’t feel bad for you. Keep those TRs coming! 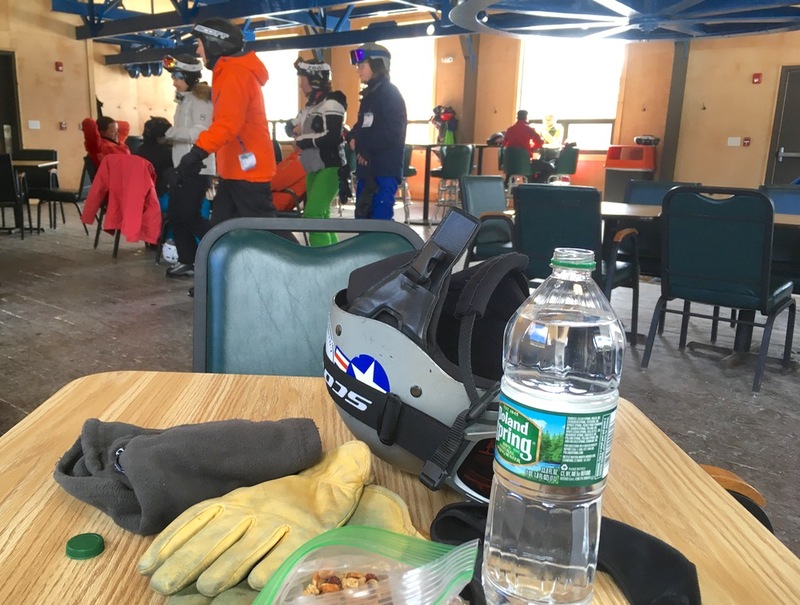 This piece may open my mind to skiing alone again, but I, like Harvey, have often found myself feeling lonely on the slopes, especially after skiing with the awesome Gore crowd, it keeps me from going out. Instead I find myself ski touring with the dogs. I am never lonely in the woods (not glades, mind you easy back country usually right behind my house). Always a pleasure to read NYSkiBlog.